Yay Spring!! It’s time to pack up the winter clothes and break out the spring styles…finally! I’ve been ready for warm weather since the day it got cold out ha. 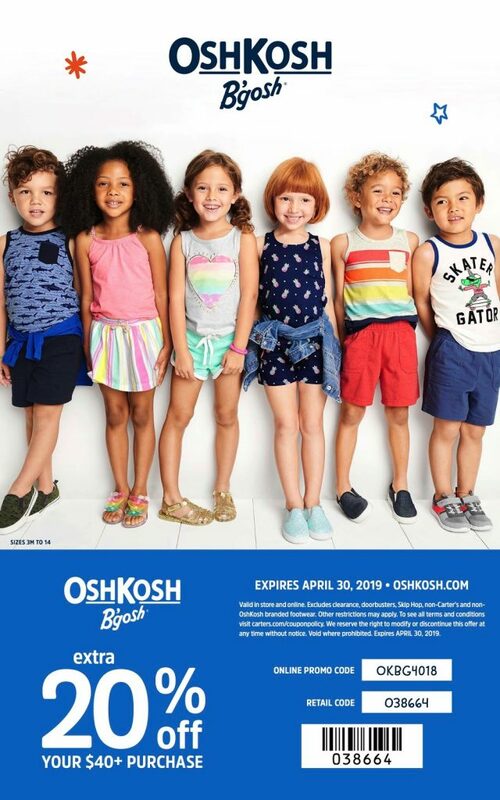 While you’re going through your kids closets this year, quickly realizing they grow too fast & nothing fits, it’s the perfect time to add some Spring Staples into their wardrobe from OshKosh B’ Gosh. 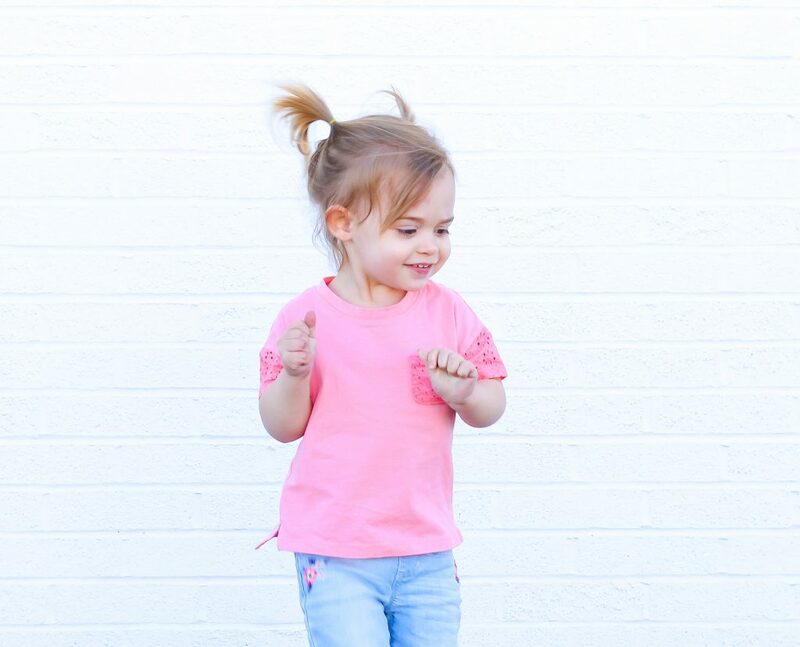 OshKosh Kids is my go-to for affordable, trendy, and most importantly great quality pieces for my daughter. 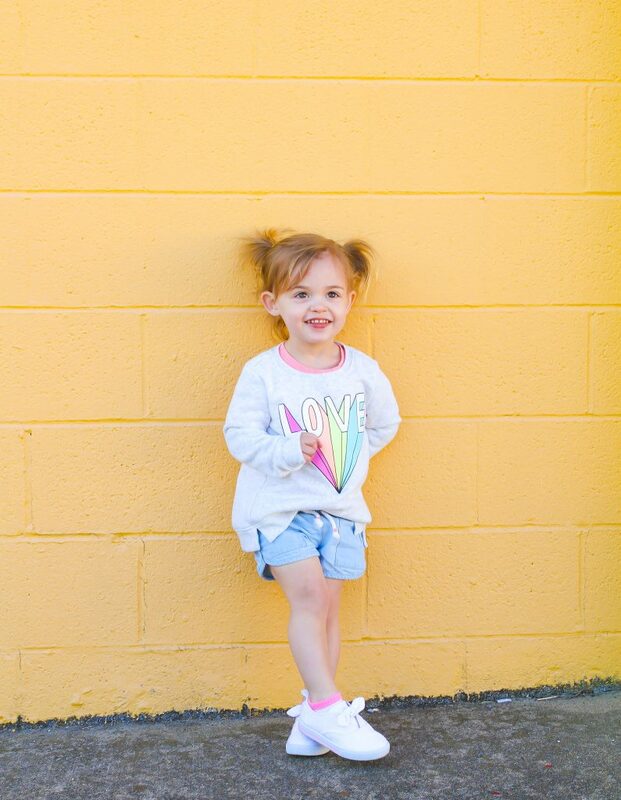 I just picked up some adorable items that I wanted to share that can help you fill their closets with fabulous Kids Spring Clothes. Denim Jacket– Spring weather can be a little up & down with temperatures so having a jacket to layer with is a must. Cora already has a traditional blue denim jean jacket from OshKosh B’ Gosh from last year that luckily is one of the few things left that fit her so this yer I snagged this adorable pink one. White Casual Shoes– Yes I get it, white can easily get dirty, but white also goes with EVERYTHING! Now I’m not suggesting to grab these for your kids outdoor adventures in the mud lol. These would be more like going out to brunch, dinner, a day activity, you know something like that. I’m obsessed with Eyelet Slip-on Shoes I grabbed Cora, I want them in my own size. Transitional Tops– You’re probably thinking right now, “what in the world is that?”. It makes sense you’re thinking that because I think I just made up this phrase “Transitional Tops” ha! But what I’m referring to are top that can be dressed up or down. OshKosh has such a great selection of colorful & comfortable tops that can easily be paired with lounge shorts for play or a nice pair of pants/shorts for a more pulled together look. Light Denim Shorts/Pants– The cold, dark weather is gone so it’s time to break out the fun, bright colors for Spring. 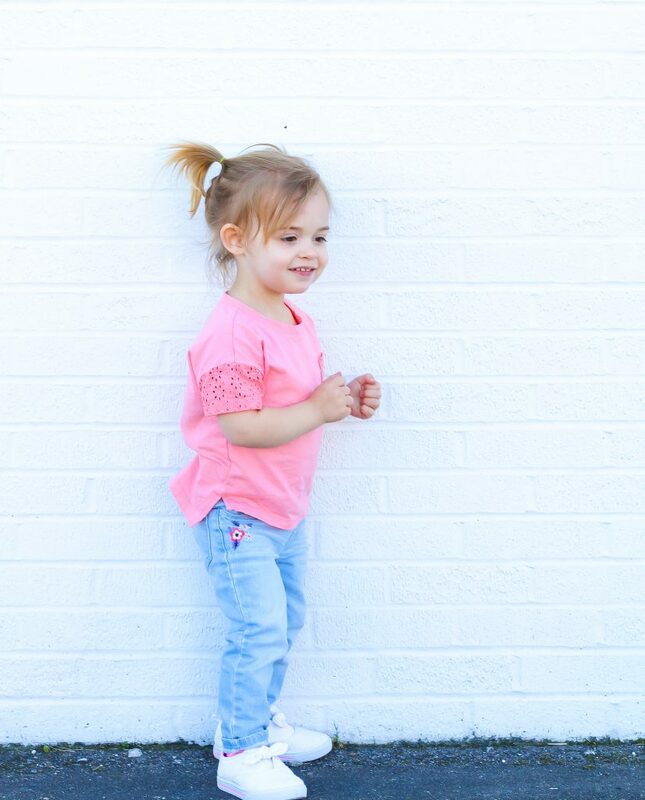 Light wash denim pieces are a great staple for Spring for any kids wardrobe. 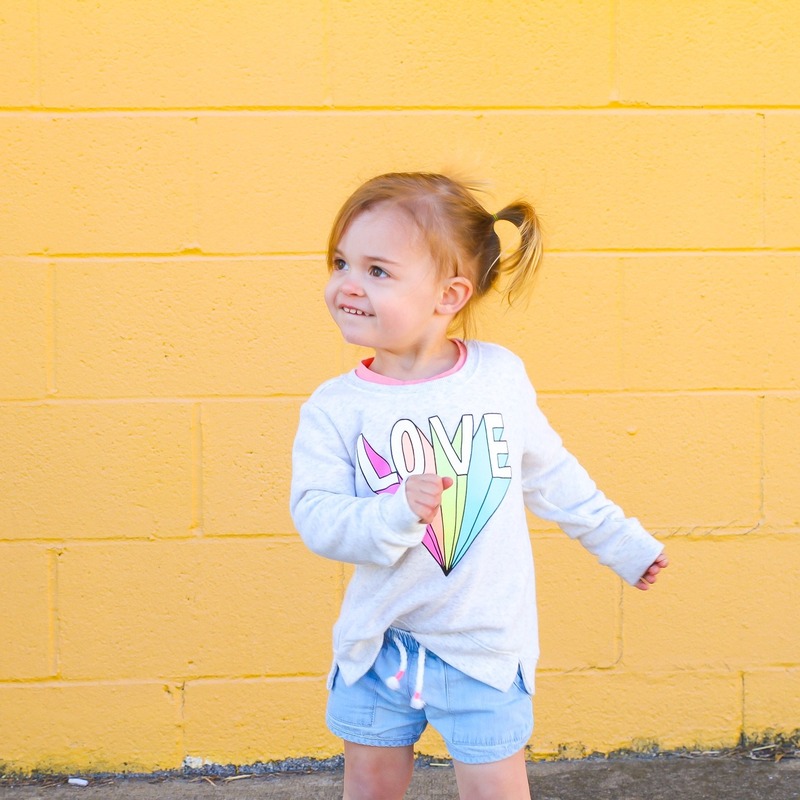 I grabbed Cora both shorts & skinnies in a light wash.
Color, Color, Color– We are color obsessed here as you may already know which is one reason I love warm weather so much, it means full steam ahead for fun colors! 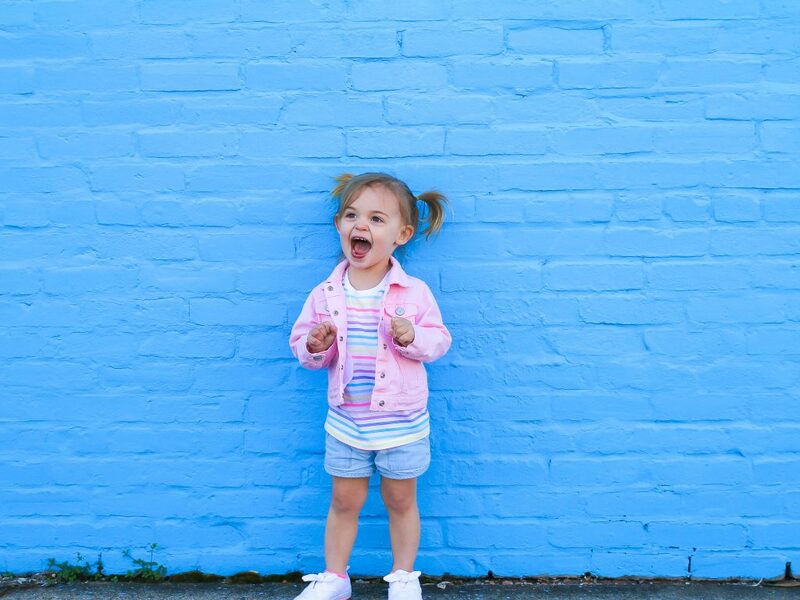 I’m not saying you need to fill your kids wardrobes with nothing but bright colors, but having a few staple items that are bright can help pull together any Spring outfit and OshKosh Kids has some of our favorite kids colorful pieces. I absolutely adore all the pieces I found from OshKosh B’ Gosh for Cora’s Spring wardrobe. I love even more that they constantly have great sales and coupons that make buying great clothes affordable. Below you will see a coupon code that you can use on their site or in-store while you shop for your kids staple clothing pieces for Spring. Can’t wait to hear and see what you all find!